There are many types of home improvement projects; improving the curb appeal, interior remodeling or an addition. First there are several factors to consider when investing in home improvement projects. Curb appeal projects are always a good choice and the least expensive. When considering a more exstensive project such as interior renovations or an addition consider these factors; how old is the neighborhood? If it is an older neighborhood is the geographic location a desirable one? Are other homes in the neighborhood undergoing home improvement projects? When considering an addition be mindful of the other homes, you don�t want to over build. Improving the curb appeal can be as simple as replacing windows, siding, painting or adding a portico over the front door. These are simple and the least expensive items to give your home a better curb appeal. Some minor landscaping is also another way to increase the curb appeal of your home. Most of these projects can be done for around $7,000 to $15,000 dollars. Although these projects are the least expensive to undertake, in most cases the percentage return on your investment is one of the largest. Interior remodeling is another great way to give your home a fresh new look. Interior remodeling can be painting, adding molding, updating light fixtures, a new bathroom, a new kitchen, new floors, or completely reconfiguring rooms. These projects can range from $10,000. to $85,000. dollars. It is recommended that whatever project you invest in you should not cut corners. Remember these are finishes and what we all notice when purchasing a home. Resale should always be on your mind. Putting an addition on your home is usually the largest home improvement project you can undertake. Cost can range anywhere from $35,000 to $150,000 dollars. When putting on an addition it is always a good idea to get an architect involved, you will need some plans just to get through the permitting process. Finding a contractor is another important factor in home improvement projects. Always make sure that your contractor is licensed, insured, has references and will allow you to look at other projects they have completed. Another important factor when considering the right contractor, is this someone that you can work with? Just shopping for the �best� price many times can end up costing you much more money and many headaches. Once you have decided on what type of home improvement project is right for you, your next consideration should be budget. This is where my years of experience in both construction and financing give my clients an added advantage. When your budget has been determined the next question is where will we get the funds from? The most logical place is from your home. Your home today is usually one of your largest assets. 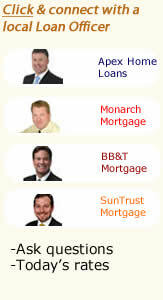 There are many types of mortgage programs to choose from. Choice Finance® Corporation has the advantage of not only being a lender but when the situation necessitates it; acting as a broker as well allowing our clients to have access to hundreds of different mortgage vehicles. Refinancing can be a good option in many cases. Taking out a second mortgage is another option, or you may want to consider a home equity line of credit. There isn�t one program that is better than another. Everyone�s situation is different and you should consult with a mortgage professional to see what is best for your situation. Typically most of these scenarios will allow you to continue to take advantage of one of our largest tax relief vehicles as well. With the economy being as fluid as it is today we should be flexible and continue to look at ways to maximize our assets. Nationwide the average homeowner will see returns from 75% to 300% on home improvement projects. Home improvement projects should be looked at as investing in your home and in doing so you continue to build equity.